Osteoporosis and osteopenia, conditions of low bone mass leading to an increased risk of bone fracture, are extremely common in women, especially after menopause when bone loss is accelerated. 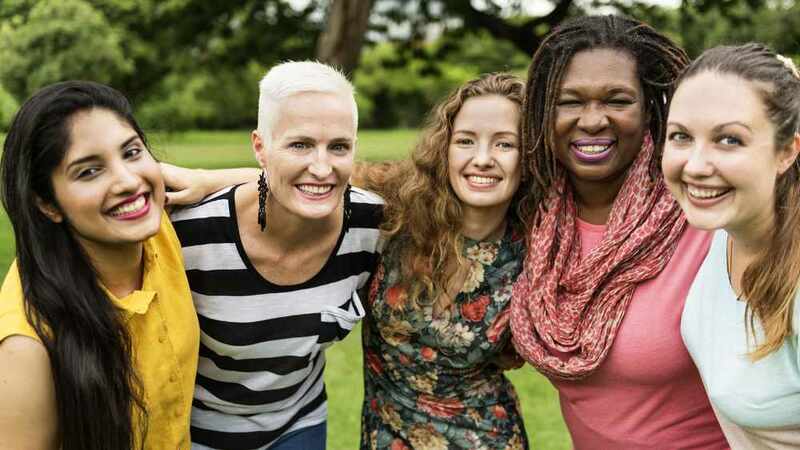 "Women have smaller bones than men and they have menopause, where they get accelerated amount of bone loss in that early period of menopause," says Dr. Robert Wermers, an endocrinologist specializing in bone disease at Mayo Clinic. "Men have bigger bones and they don’t really have a true menopause. We do lose testosterone, but it’s more gradual compared to menopause when women have dramatic declines in their estrogen levels." In fact, Dr. Wermers says fracture rates exceed all other diseases in elderly women in the U.S. with a 2-fold greater risk than a heart attack, nearly 5-fold greater risk than breast cancer, and an 8-fold greater risk than stroke. "What’s important to realize is that more women with osteopenia actually break bones more than women with osteoporosis, just because there’s so many more women out there with osteopenia," says Dr. Wermers. He says bone density only explains roughly 15 percent of your risk of breaking a bone and that there can be other factors contributing to bone breaks. “Unfortunately, screening for osteopenia and osteoporosis in the U.S. is underutilized with only 17.1 percent of patients with a hip fracture either getting a bone mineral density measurement and/or osteoporosis therapy," says Dr. Wermers. Even though bone density screening is recommended for women 65 years and older, less than 25 percent have a bone density measurement. Watch: Dr. Wermers discusses bone loss in women. Journalists: Broadcast-quality sound bites with Dr. Wermers are in the downloads. Taking care of bone health is a lifelong process. "Your body undergoes this constant process of digging out old bone, filling it in with new bone, and it takes roughly 10 years to go through your whole entire skeleton," says Dr. Wermers. "All of your bones will be remodeled over that time. And what happens in any disease of the bone is if you break down more bone than you form or if you form more bone than you should. In osteoporosis, you break down more bone over time and it weakens and predisposes it to fracture." Also, people often think the topic of bone health and osteoporosis is meant for the elderly. But Dr. Wermers emphasizes that young people should pay attention. Dr. Wermers says the best way to take good care of your bones is to make sure you get enough calcium in your diet and make sure you exercise. "A combination of aerobic walking where you’re bearing your body weight, putting weight on your heels," says Dr. Wemers. "Do strengthening two to three times per week and then balance exercise as you get older, as you’re at risk for falling increases." He also encourages women to avoid smoking and excessive alcohol use, which are damaging to bone health. Regarding calcium, Dr. Wermers says dietary calcium intake is best. "The main reason is because dietary calcium doesn’t have the risk of kidney stones, which is a risk with taking calcium supplements." Once bone density is measured, there is a lack of consensus regarding when or if a repeat measurement should be done, according to Dr. Wermers. In general, based on bone density levels, a repeat bone mineral density measurement could be considered between two and 10 years later. This provides an opportunity to reevaluate an individual’s fracture risk and potential to benefit from treatment. Dr. Wermers adds, "In general, the lower the bone mass, the more frequent the repeat bone density should be considered." Watch: Exercise helps prevent bone fractures and falls. Journalists: Broadcast-quality video pkg (1:00) is in the downloads. 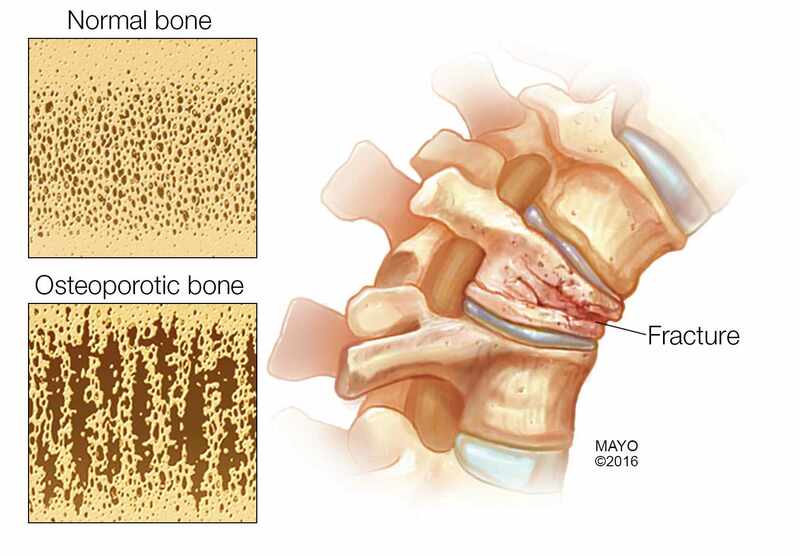 "One class of medications helps prevent bone breakdown, and those are what are called bisphosphonates, or another medicine called denosumab or Prolia, and the bisphosphonates include alendronate or the trade name is Fosamax," says Dr. Wermers. "These medications are going to be your least expensive medications and the ones we have used the most. It can either be given as a pill form or there’s IV, intravenous forms of these as well that can be given, and there’s – if people can take the pills, we’ll often use the pills." Dr. Wermers suggests that in most patients with a high fracture risk, the benefits of osteoporosis therapies will significantly outweigh their risks. Serious side effects are rare, and much lower than the absolute risk of a hip fracture in an untreated individual.